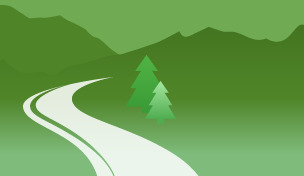 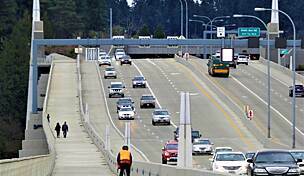 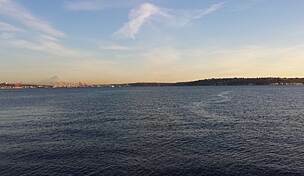 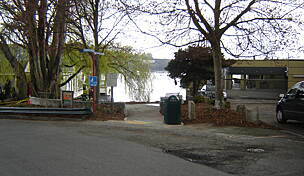 Trail end points: Alki Ave. SW and 65th Ave. SW and SR 99 and West Seattle Bridge/S. 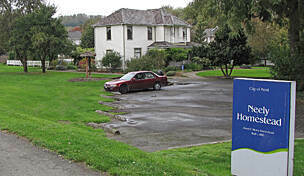 Spokane St. 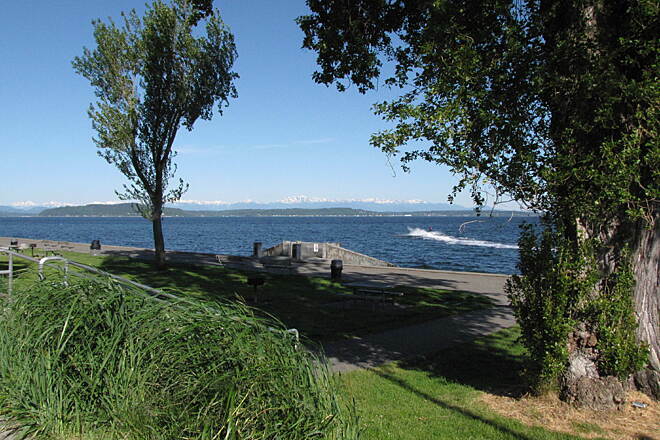 The Alki Trail rides along the northern and eastern shore of West Seattle along Alki Avenue. 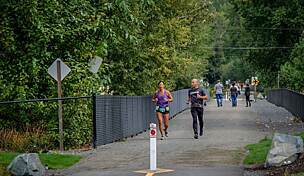 Largely riding on a widened sidewalk, separated from traffic by a parking lane and curb, traffic on the trail is separated for bikes and walkers, providing a less stressful experience for walkers and bikers alike. 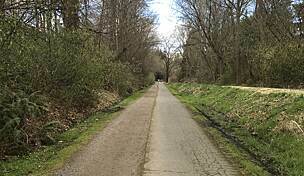 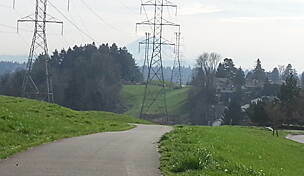 As the trail turns south, it runs inland toward the West Seattle bridge, which it traverses with a separated biking lane. 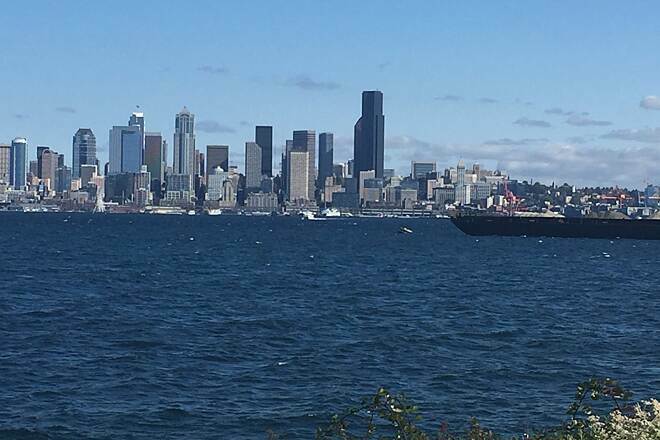 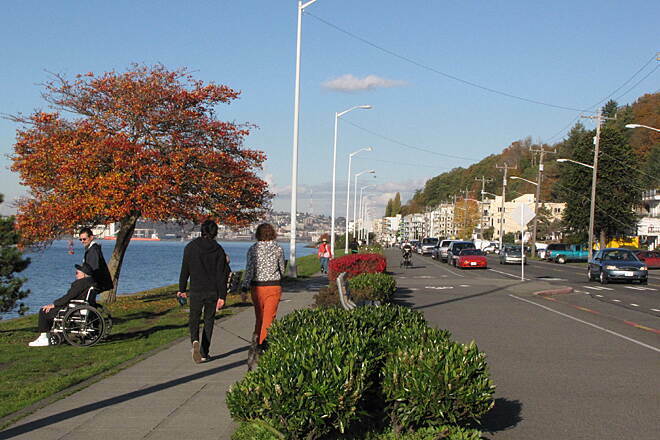 With a tricky intersection along West Seattle Bridge, as well as high car traffic, this portion should be handled with great caution. 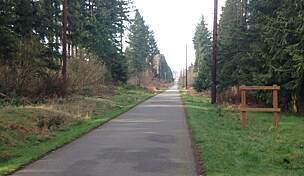 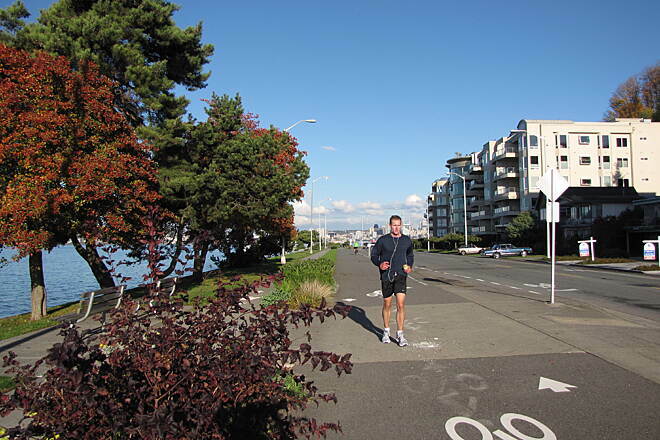 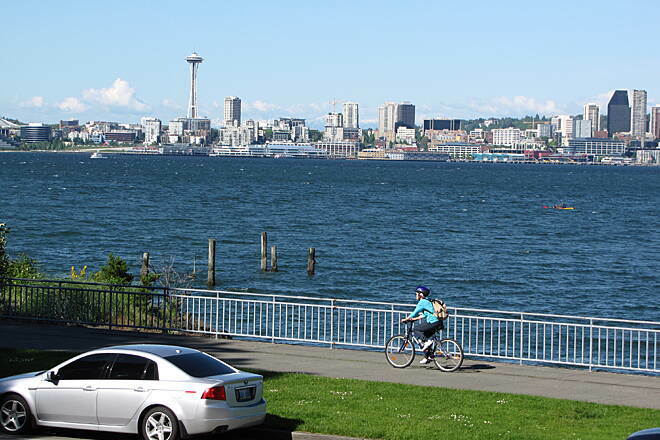 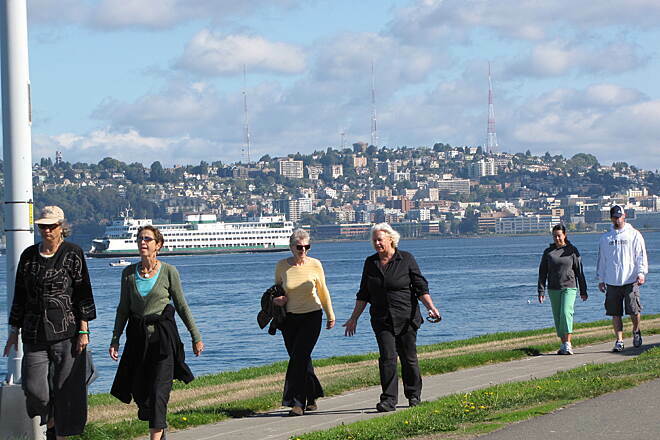 Street parking on Alki Avenue is available for the full length of the trail. 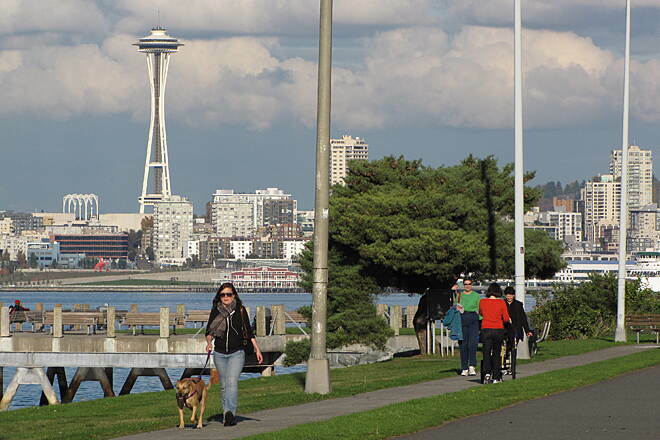 There are a handful of parking lots for beach access and public greenspaces. 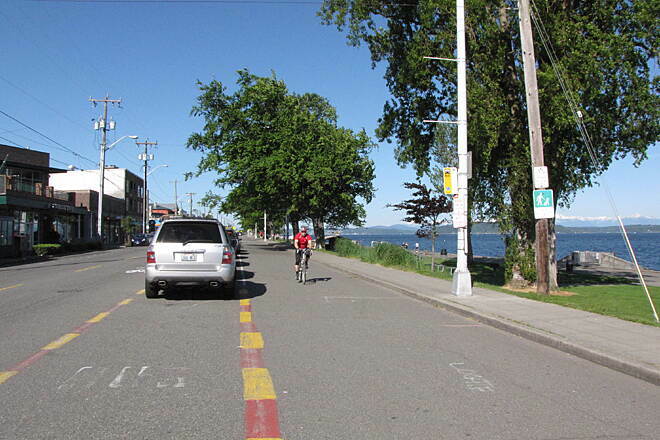 Parking near the eastern terminus may prove difficult, as it is largely industrial. 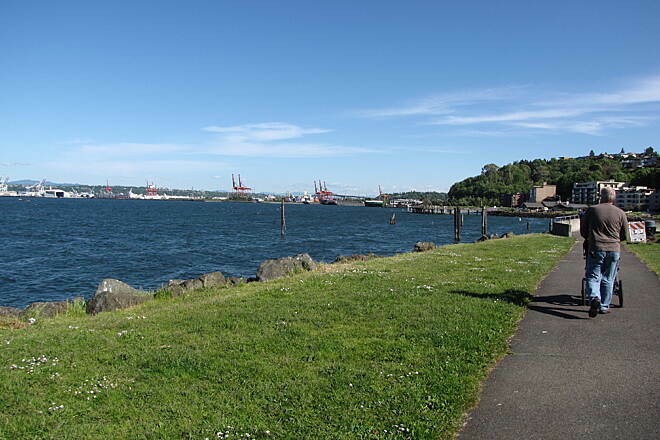 This is a nice, easy trail along the water front. 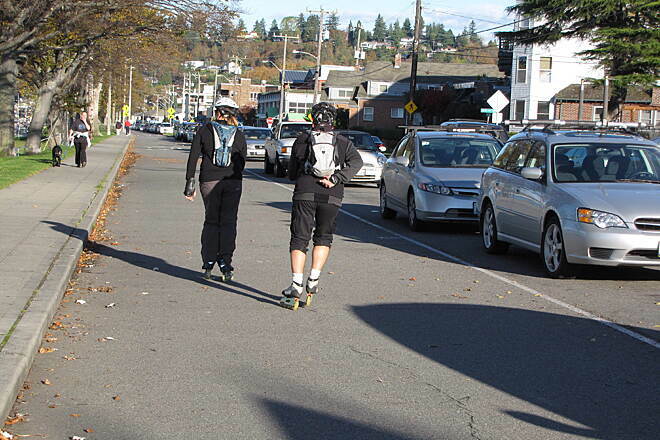 Great for roller blading, long boarding, and running. 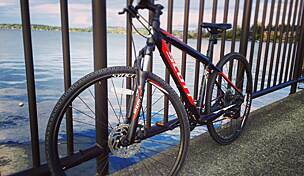 It's a good easy ride for bikes as well. 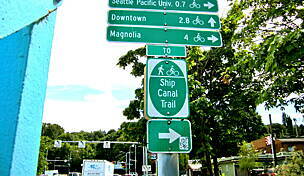 Crossing the brides isn't all that exciting unless you like looking at train tracks and shipping yards. 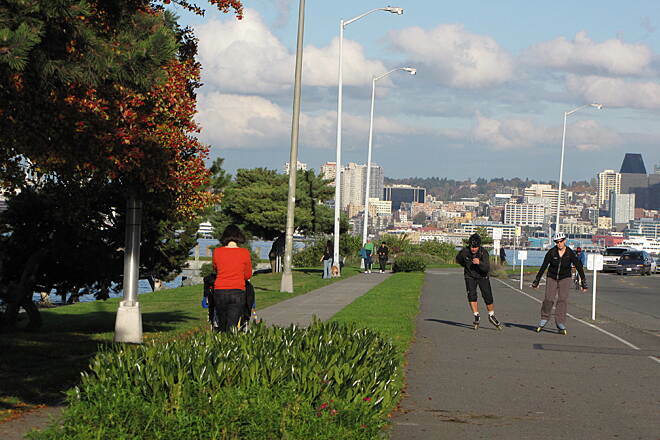 The trail gets quite busy near the beach when it's sunny so watch out for traffic.